Hovis, the baking and flour milling business jointly owned by The Gores Group and Premier Foods plc has recently rolled out the Distrib Dock Manager solution across all its sites. Distrib Dockmanager scans pallets or stacks of products automatically at a loading dock, when (un)loaded on a vehicle. The cooperation between Hovis and Pcdata already dates back to 2006 and 2007, when a national rollout of the Distrib Put to Light (PTL) solution across all Hovis distribution warehouses took place. These PTL implementations have significantly contributed to streamlining the Hovis logistics operation for their Radial distribution. Distrib Put to Light makes the picking process paperless with support of light technology. Due to changing customer behavior, Hovis’ distribution models slightly changed over the past few years. Instead of having their product delivered direct to individual stores, specific retailers decided to receive their orders in their own DC’s and from there distribute the products using their own distribution network. 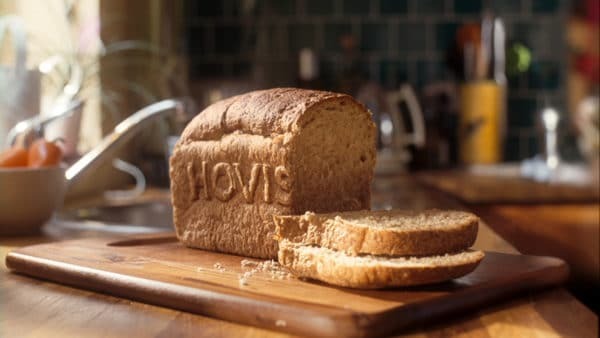 In order to facilitate this centralization process and further improve customer visibility about shipped orders, Hovis turned to Pcdata and started to implement the Distrib Dock Manager solution. Back in 2011, Hovis initially decided to implement this solution in 5 sites, as the Distrib Dock Manager solution was only used for Bulk shipments to a specific retailer. However when the number of Bulk shipments to retailer DC’s increased, Hovis quickly decided to invest in expanding the Distrib Dock Manager systems as well as installing it in a further 4 sites. Some of these sites did not yet use the Distrib software at all, since they were so-called ‘’Production only’’ sites; originally they were only shipping product in bulk to Hovis distribution sites and few onto customer central DC’s. With the investment in a Telematics and Proof of Delivery system, that also offers sign-on glass and image capture functionality, Hovis needed the Distrib Dock Manager solution to be installed in all sites to provide relevant real-time data about customer bulk shipments. The Distrib PTL solution offers Hovis the ability to efficiently pick customer orders on either on pallets or stacks of baskets and for each completed stack or pallet, to generate a unique Serial Shipping Container Code (SSCC) label. This barcode label is applied to the stack or pallet, showing (amongst other things) stack/pallet destination, content and time & date of production/assembly. With the Distrib Dock Manager solution, this barcode label is then scanned when the stack/pallet is loaded onto the delivery vehicle. Scanning the barcode label is done by either fixed mounted, wide-range barcode scanners, which are assigned to a specific dock and scan all outbound movements automatically; or alternatively, in certain sites, where only 1 bulk shipment was assembled, a standard handheld barcode scanner was used. At the moment a stack/pallet is loaded onto a vehicle, the Distrib Dock Manager software validates the load and either accepts or rejects the movement. If rejected, the system notifies users by means of audio-visual tools; if accepted the system registers the exact content of a vehicle. Even when loading multiple stacks simultaneously (as opposed to a single pallet), the system is able to pick up each individual stack label that is bypassing the fixed mounted gate scanners, without operators having to slow down or delay their loading process. Upon vehicle departure, the Distrib Dock Manager software generates Advanced Shipping Notification (ASN) data, which is forwarded onto the customer DC, providing them with relevant information on the expected arriving shipment. The lead-time for the implementation was very aggressive; in a 4-month period, 9 sites needed to be installed; all during the busy summer period. Working in close partnership between the Hovis central and site teams, Pcdata project teams and Pcdata’s UK subcontractor, this rollout was successfully completed, on-time. As part of the rollout, fully automatic gate-scanners were installed at multiple gates at all sites. After implementation and meeting the aggressive deadline, the system functionality is further expanded with certain sites even using the Dock Manager system of a secondary site to scan and validate shipments that they have picked for them to cross dock- in order to save time during the transit time of the product. With the increase in number of retailers demanding their product to be shipped in bulk to their DC’s, the Distrib PTL and Dock Manager solution is now used to collect and register all these shipments. If you want to know if Dock Manager would be suitable for your warehouse, please feel free to contact us!